My goal is to do a half ironman 5 months from now. I've never done a triathlon before. I'm a runner. For the past few months, I've been trying to get to the pool at least once a week. My biking has been even more sporatic, and my longest ride thusfar - 19 miles - was last weekend. I'm not sure how to become a triathlete. I don't have a specific training plan, and this might be part of my problem. As an aspiration, I envisioned 3 swims, bikes, and runs each week. But this hasn't happened yet. In part, the bias towards runing reflects my background, and upcoming events - a 10K later this month, and a half marathon next month. I've signed up for a sprint triathlon in 2 months. What I need is a routine. My running is set, but I have yet to fit in the swims, and worse the rides, consistently. My bike is 15 25 years old, but is functional. 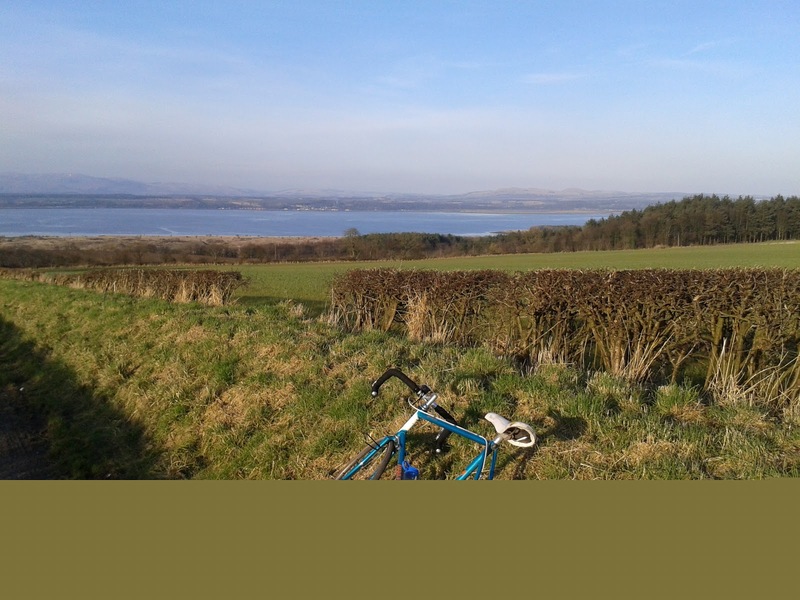 This is a picture of it a few weeks ago, on a sunny February day. 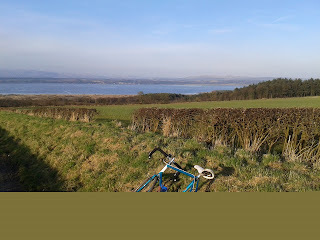 The water in the distance is the Firth of Forth. Update, Monday morning: I did 45 minutes on the bike/turbo on Sunday, while watching a lecture on the fall of the Roman Empire. So, that makes 3 runs, 2 bikes, and 2 swims for the week. Not perfect, but heading in the right direction.